Everbuild Fill Once is a revolutionary new ready mixed filler made with expanded Micro-sphere Technology (EMT) making it ideal for filling large or small holes in one application, without the need for building up layers. Formulated to outperform conventional fillers Fill Once provides a smooth, fine finish that won’t shrink back after setting and will only require minimall or no sanding. 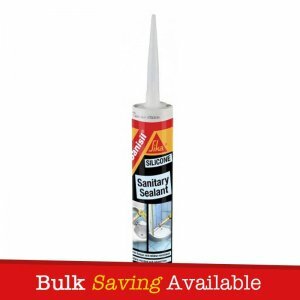 Fill Once will set hard so it can support nails or screws directly into solid substrates. 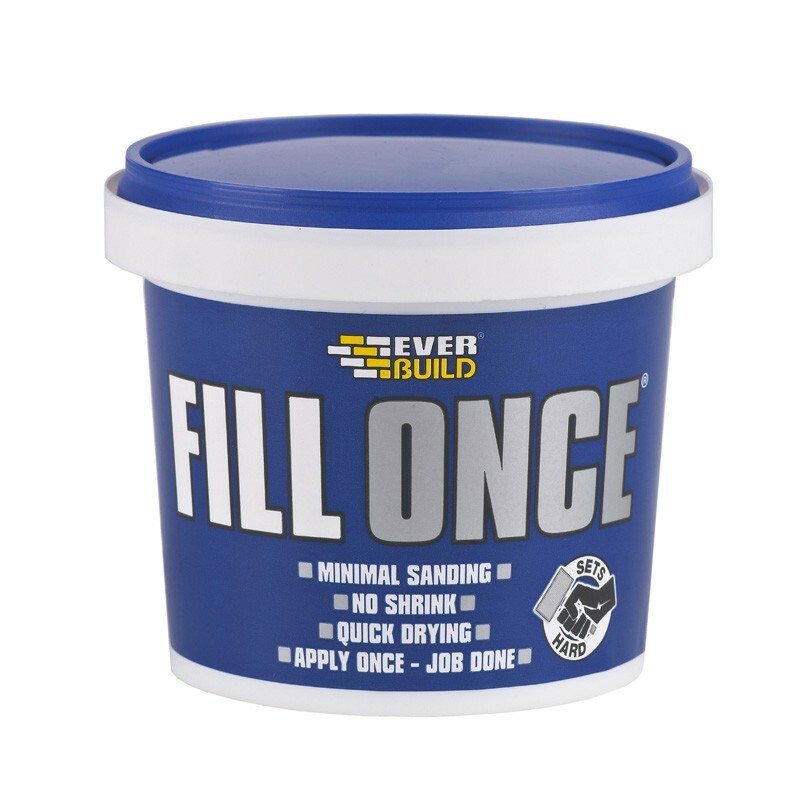 Fill Once is ideal for repairs to plaster, wood, brick, stone and rendering. 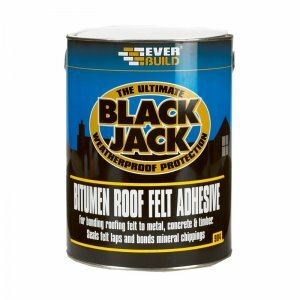 – Fills gaps and holes in plaster, brick, stone, wood and render. 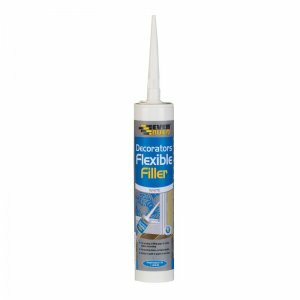 – Fills in one go – No need to build up layers of filler – Fills up to 50mm deep in one application. 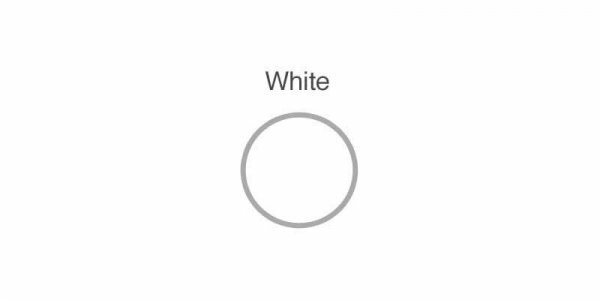 – Can be nailed or screwed once fully dried. – Easy to use – Lightweight paste is incredibly easy to apply. 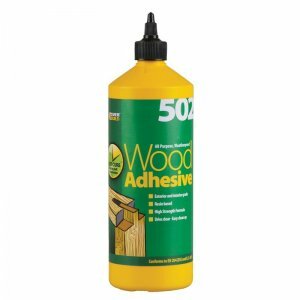 – No sanding required – Finishes to a smooth surface. – No snagging – The lightweight properties of Fill Once prevent snagging even on ceilings. – Non-shrink – Will not shrink back whilst drying. – Quick drying – Ready to paint/paper in just 30 minutes. 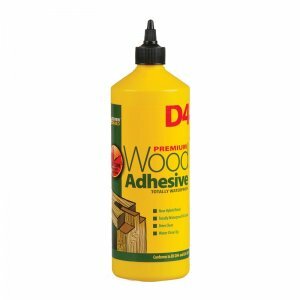 – Overpaintable with most solvent based and emulsion paints.